How to generate growth when others are managing decline? Welcome to a new series of articles in which successful advertising sales directors share valuable insights. In this first article, media sales industry veteran Malcolm Stoodley, the founder of media sales consultancy Media Locum and previously Sales Director of Exterion Media, explains how he oversaw growth, often when other companies in similar sectors were declining. These days, growth in media sales seems to be inextricably linked with the D word. Whilst it is undoubtedly true that digital is a key growth area, the examples I’m about to share with you relate to a business with reduced digital assets that consistently delivered in excess of 10% year-on-year growth! In every sales role I fulfilled at director level, I implemented a six-step strategy and the results were always significant. Whilst this is the desired end result, growth also has to be the starting point for any sales strategy. Growth is a concept that must be culturally accepted at all levels of the sales organisation in order to achieve it. How? Prove that it’s possible and within grasp. Don’t just convince management, support the drive for it at every level and engage with the wider business. Share the plan – yes, even the three-year plan the Board requested – and share your belief in that plan. Excite and inspire your people and their teams. Not everyone will buy into your plan. You will probably lose some people. Don’t be surprised or put off by this. Those who leave will be the ones who don’t – or won’t – believe in change, the ones who can always find excuses. Their leaving will clear the way for a more positive and willing attitude to shine through. You’ve sold an idea, now the competitive spirit in your people can be unleashed. Most sales people possess a natural desire to succeed, something that is all too often suppressed by management demanding justification for every action and decision, which then provides the perfect opportunity to create excuses – it’s the single most destructive element of any sales organisation. Now is the time to change that! Use your CRM! Create league tables and measure areas of sales performance that allow comparisons regardless of geography and scale. I used ‘time to break even’ to measure different team’s progress and league tables for individuals. Sharing these measures creates transparency and ensures everyone is on the same page. Your team will need support. This might be training, coaching, one-to-one meetings or the provision of insight and marketing materials. Don’t get stuck inside your office, speak to your teams regularly, listen to what they say and find out what they need. Certainly, you should look for ways to free sales people from administration by streamlining or automating processes. There is very little admin that adds any real value and it wastes a lot of sales time. Once you’ve built in transparent and shared measures, the next challenge is to identify team and individual achievements. Highlight these successes daily or weekly – to establish a growth culture, you must first engender a success culture. How and what you communicate to your teams and the wider business will have an impact on this. Share what is going well, while being honest about what still needs to improve. Don’t focus exclusively on the top results, concentrate on finding positives throughout the measures and tables – everyone needs to feel motivated. Be aware that this takes time, so don’t rush it because it is all too easy to get it wrong! Your teams are trying to achieve key targets that will demonstrate growth and you’ve put in place transparent measures. Showing that everyone’s efforts are valued is critical, so the final step is reward – and I don’t just mean giving a bonus to your top performers. Ad hoc team challenges are important for bragging rights, so incentivise behaviours as well as results. Celebrate success across the entire organisation and involve everyone – it’s a nice gesture when another senior person feels empowered to write a note of congratulations to a team or person, behaviour that is to be encouraged. Most importantly, remember that the phrase ‘thank you and well done’ is the most powerful tool anyone in sales possesses. 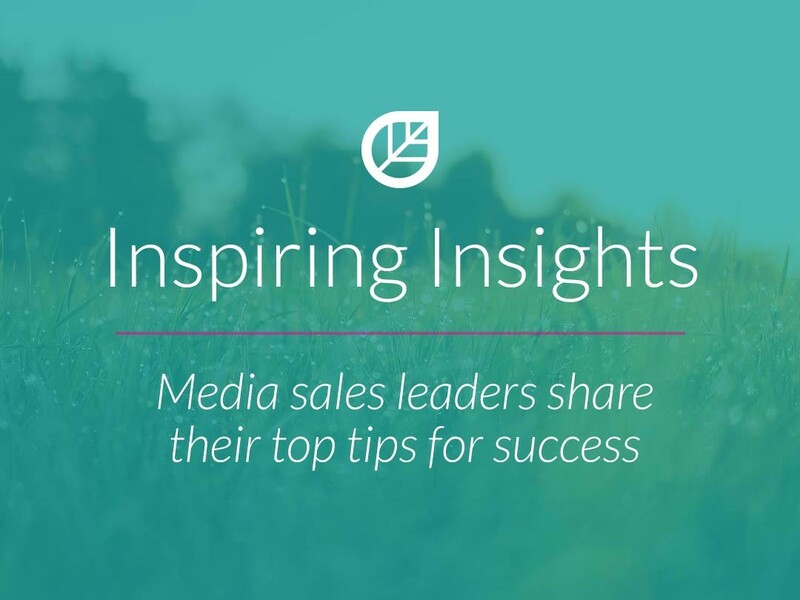 How are you supporting your media sales teams to deliver growth? Do your team need help to achieve their full potential? Get in touch to find out how we can support you and your media sales team. Get in touch – email mary@nuatraining.co.uk or call us on 01372 700026.